By the end of the summer, the film had become a cultural phenomenon in the United States and had only just begun its triumphant series of releases around the world. A new mythology had been born and the world was ready for more. Written and directed by George Lucas, the filmmaker assembled a team of talented cast and crew, and a new visual effects company formed known as Industrial Light & Magic (ILM). The stage had been set for something unexpectedly special. A winner of multiple Academy Awards©, Episode IV A New Hope, as it came to be officially known, revolutionized motion picture production. With groundbreaking visual effects and sound design, the cinematic art form breathed with new potential in Lucas’ masterpiece. A story deep in classical themes reminded filmmakers and audience members alike just what made a good story so important and so impactful. A farm boy dreams of adventure and a princess rebels against an evil Empire. 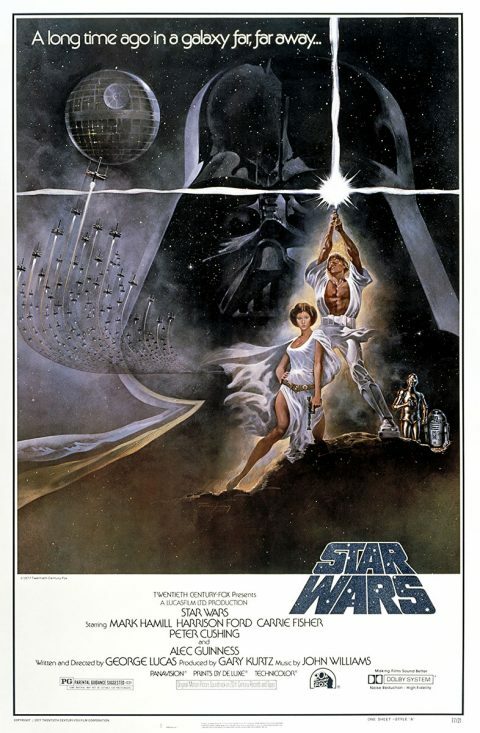 The fate of the galaxy is forever changed when Luke Skywalker discovers his powerful connection to a mysterious Force, and blasts into space to rescue Princess Leia. Mentored by a wise Jedi Master, and opposed by the menacing Darth Vader, Luke takes his first steps on a hero’s journey. Remember, the Force will be with you…always.